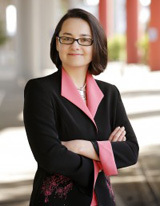 Ekaterina Walter is a social media innovator at Intel. A recognized business and marketing thought leader, she is a speaker and a regular contributor to leading-edge print and online publications. She is an author of the Wall Street Journal bestselling book “Think Like Zuck: The Five Business Secrets of Facebook’s Improbably Brilliant CEO Mark Zuckerberg”. Walter has been featured in prominent publications such as Forbes and BusinessReviewUSA and was named among 25 Women Who Rock Social Media in 2012. She was a featured speaker at TEDx, World Chambers Congress, Web 2.0 Summit, South by Southwest Interactive (SXSW), MIT Leadership Forum, LeWeb, and other major national and international events. She sits on a Board of Directors of Word of Mouth Marketing Association (WOMMA) and is an active member of the Thunderbird Global Council at Thunderbird School of Global Management. Ekaterina can deliver a number of tailored speeches around digital media and social marketing from organizing for social business success internally and building social strategies to tactical discussions on community management and effective social engagement on networks like Facebook, Twitter, Pinterest, etc. to discussing the innovative trends in the social era. Becoming a social business requires a thoughtful approach to integrating social media into the fabric of your organization. Supported by real-life examples of B2C and B2B companies, Ekaterina reveals what it takes to become a social business, walks through the framework of creating appropriate strategy and scaling it across business units and/or geographies, and outlines what’s next in the world of social media. Based on Ekaterina's bestselling book "Think Like Zuck", this talk is packed with examples of Facebook's success principles in action-as well as those of Zappos, TOMS, Threadless, Dyson, 3M and other companies. Whether you are a business owner or an intrapreneur within a brand, Ekaterina will give you the inspiration, knowledge, and insight to build a business that makes a difference, and to lead your organization to long-term profitability and growth.